If I remember correctly, there wasn't a great deal of consultation when we changed badges from the Roman centurion to the current one. Completely different process to what we will be doing. 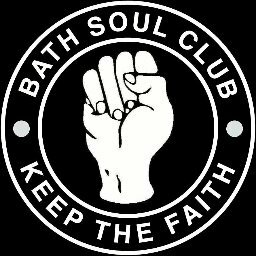 With our upcoming badge poll (more details soon), there will be an open invitation to submit designs and a vote by Supporters' Society members on a shortlist which will include the current badge. Unless someone can correct me, I think it will be the most open process for choosing a new badge at any club anywhere. ...and promptly ignored, by the looks of it. Leeds badge looks awful, and not only because it looks like some kind of fascist salute - I just can't stand "modern" looking badge designs, inc Merthyr Town's. I actually think Chelsea did a pretty good job in 2005 with centenary badge redesign - classic looking, but sharp. 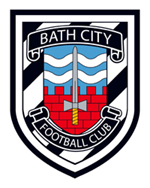 Here's hoping we'll get some good options in the Bath City compo. I don't mind the Merthyr one:it reminds me of Ajax. All you have to do is enter it in. Although it wasn't mentioned about any previous badges being included automatically - only the current one, I don't see any reason why previous badges or interpretations thereof can't be sent in (ownership rights permitting). Personally, I think that the diagonal black & white stripes behind the crest cause a similar Droste effect as the vertical ones on the current badge but, you know, opinions. Though never a fan of Leeds United, I thought their 'smiley' badge of the 1970's was one of the better designs of the period .. It seemed to be made to be sown onto school duffel bags and the knees of worn out jeans. The droste effect is one of my favourites. Big fan of Pop art. I only heard that term last week. Very handy. Freeview, knock up a version and get it ready for the compo.